A new study has uncovered a peaceful, effective therapy method for easing the burden of post-cancer treatment recovery. For cancer survivors, the diagnosis and treatment is only part of the battle. The recovery process poses another difficult challenge. It’s often a painful, slow process potentially leading to further health problems. Researchers at the Ohio State Comprehensive Cancer Center have learned that yoga has multiple benefits for cancer survivors. Doctors followed two groups of breast cancer survivors. One group practiced Hatha yoga for at least three hours per week for three months, while the other group did not. The yoga group’s condition improved greatly, noting reduced inflammation, improved mood, and reduction in fatigue as major benefits of treatment. Doctors also encouraged yoga patients to do sessions on their own, outside of class. Participants averaged 25 minutes per day of independent yoga and showed additional improvement. Patients continuing yoga for an additional six months experienced a 57% drop in fatigue, while blood tests indicated up to 20% reductions in inflammation. Hatha yoga is not an aerobic exercise, so participants lost no weight. This excited researchers because reductions in inflammation typically go hand-in-hand with weight loss. In fact, experiencing a drop in inflammation is highly unlikely without weight loss. Many cancer survivors have often already lost weight from aggressive treatments and need to put on weight, not lose it. Although the doctors involved can’t put their fingers on why practicing yoga reduced inflammation, they believe improved sleep and stress levels played a major role. The women participating in the study, aged 27-76, were all yoga novices. Hatha yoga is a restorative technique and enticed doctors because they believe it’s easily tailored to people with various abilities, while being relatively easy to learn. It’s important for breast cancer survivors to take on an activity like yoga as part of their recovery. Treatment is very exhausting and can leave them tired, less active, unmotivated, and unlikely to embrace activity. This can create a downward spiral, sometimes leading to early death. In fact, breast cancer survivors with lower levels of activity have a heightened risk of dying prematurely. 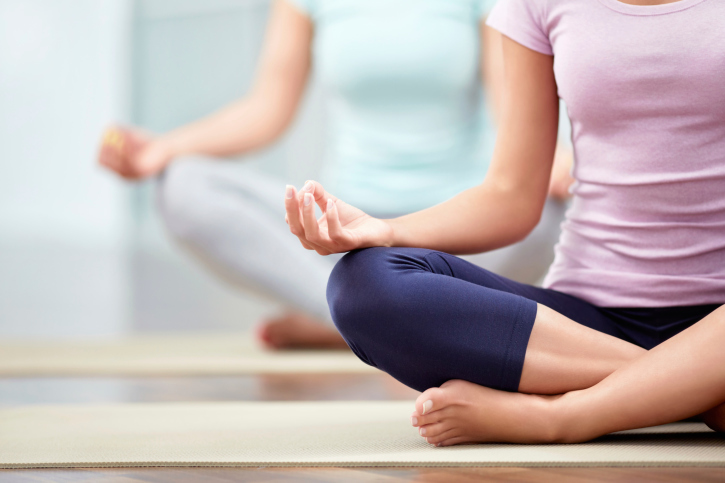 Yoga appears to highly improve the quality of life for cancer survivors. Reductions in stress, fatigue, and inflammation, and improvements in mood and energy levels make it a very promising way to make a strong comeback from cancer or another illness. Talk to your doctor or naturopath to see if it’s a safe activity for you! MacVean, M., “Yoga Helps Cancer Survivors Lessen Fatigue, Inflammation, Study Finds,” Toronto Star web site, February 17, 2014; http://www.thestar.com/life/health_wellness/2014/02/17/yoga_helps_cancer_survivors_lessen_fatigue_inflammation_study_finds.html, last accessed March 3, 2014.